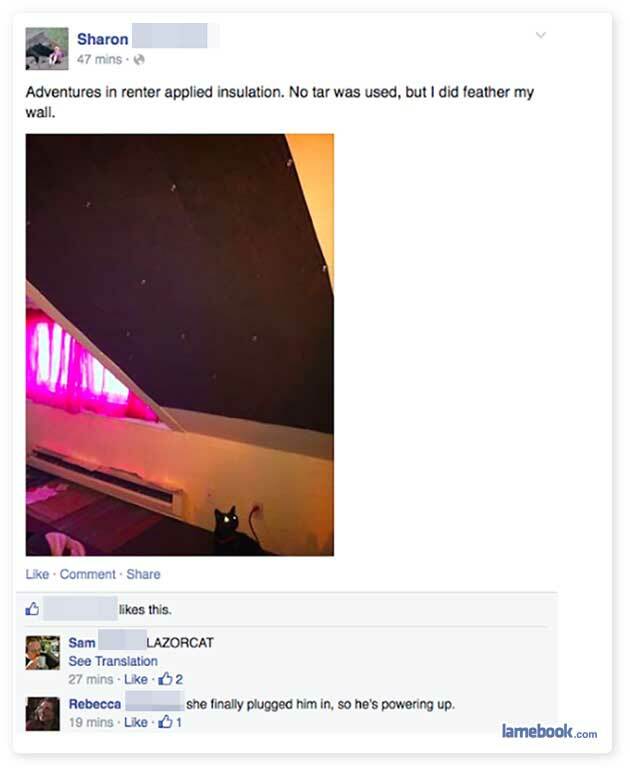 Lamebook – Funny Facebook Statuses, Fails, LOLs and More – The Original » Lazorcats! That’s a nice cat you got there! Would be a shame if someone ate it! How many flamingoes had to die to satisfy this lady’s perversion? The cat’s eyes are lighting up because it’s tail is plugged in to the wall.